The cables are designed for connection between traffic control centers and equipment shelters along the trackside. 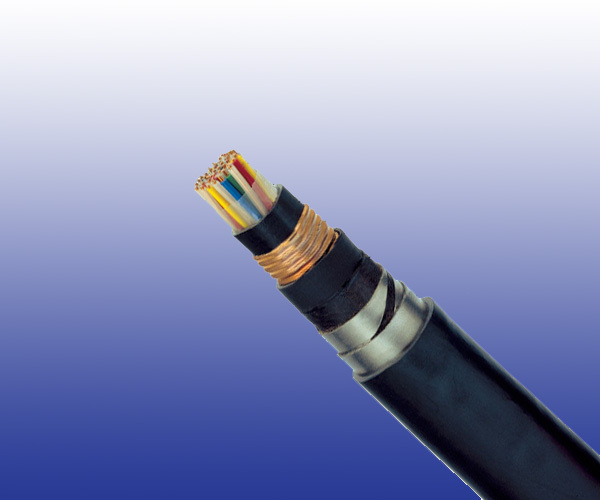 The cables are specially designed to give good induction protection (R.F=0.21 at inductive voltage 100V/km) and are suitable for installation in high speed railway lines electrifi ed at 25KV ac. Conductors: Solid annealed copper, 1.0 mm^2 nominal cross section area. Cabling Element: Four conductors are twisted to form a quad. Stranding: Quads are helically stranded to get the cable core. Core Wrapping: Plastic tape(s) with overlapping. Inner Sheath: Low density polyethylene. LSZH FR option can be offered upon request to NF C 32 070.2.2 (C1). Electrostatic Shield: Corrugated copper tape. Intermediate Sheath: Low density polyethylene. LSZH FR option can be offered upon request to NF C 32 070.2.2 (C1). Electromagnetic Shield: Two helically applied steel tapes (0.5mm). Outer Sheath: PE/PVC compound. LSZH FR option can be offered upon request to NF C 32 070.2.2 (C1). Remarks: ZCO3: PE/PVC Sheath; ZCO3-SH: LSZH Sheath.